To join or renew, use our easy online membership form. Library school students, please see below for information about our joint membership opportunities. Don't want to pay your dues online? Just print and mail this form. 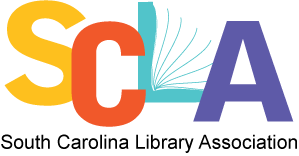 Students: If you’re joining SCLA for the first time and have never been a member of ALA, consider a joint membership! Library school students can join both organizations for just $38 annually, including membership in SCLA's New Members Roundtable. For information on submitting membership forms by mail, see the "Join Offline" section of ALA's Joint Membership Program site. Questions? Contact Donald Wood (SCLA Executive Secretary) to learn more.